Summer Jewelry Giveaway from Soraya by Rozi! This summer, it's easy to jazz up your wardrobe staples with earthy jewelry with colorful stones. 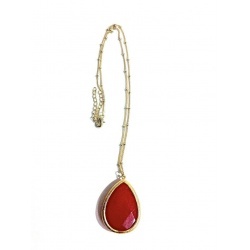 And Everything She Wants is offering one lucky lady the chance to win either a pair of beautiful, gold plated Teardrop Earrings in turquoise (retail value $50) or a Large Teardrop Necklace with a red stone on a gold chain (retail value $40) from Soraya by Rozi. 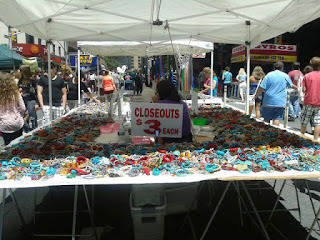 3) Tell me where you'd wear this lovely summer jewelry? This giveaway offer ends on Wednesday, June 13, 2012. Good luck! I would wear this lovely jewelry out to dinner! I retweeted and followed as kleemorris and I would wear this summer jewelry to smarten up my work wardrobe, and when i'm going out for an evening with my husband! I'd wear this jewelry out on a date! I would wear this jewelry out to lunch with my friends! 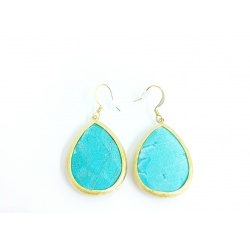 I love the turquoise earrings and would wear them out and about! I would love to wear it when I go out with my friends. I follow you on twitter (@Italcutie) and re-tweeted the post. If I win I will wear the jewelry to the Ringo Starr concert I am going too. I am following on twitter @wordromancer and have tweeted the post. I would wear it to the summer party my friend is throwing in a few weeks. I would wear it to summer cookouts!